This year marks the final year of the Civil War sesquicentennial. 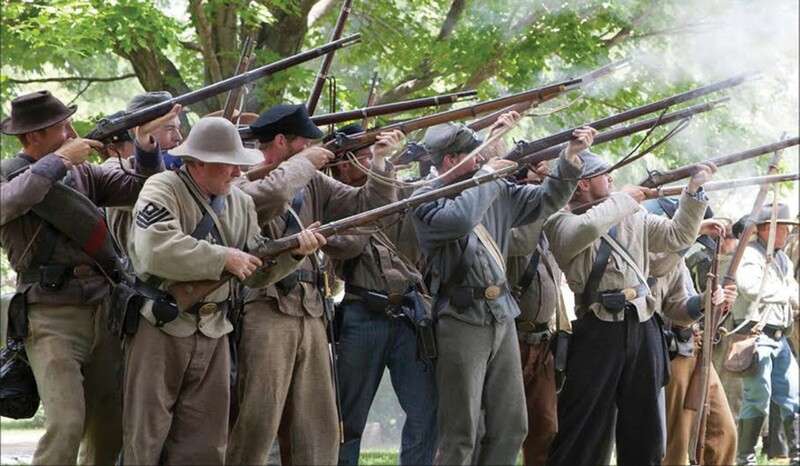 Bearing that history in mind, the weekend of July 18 and July 19, The Genesee Country Village and Museum will host reenactments to commemorate the war's conclusion 150 years ago. Each day there will be two staged battles. The first will be on an open battlefield at 11:30 a.m. featuring cavalry and live cannon fire. The second will be in the historic village at 2 p.m. A Lincoln impersonator will visit the Union camps and survey the battle and inspect the activity on the meadow. Townsfolk in the village will perform concerts, specialty shopping, and vignettes depicting civilian life during the era. Civil War Reenactments at Genesee Country Museum (1410 Flint Hill Road, Mumford) will take place Saturday, July 18, and Sunday, July 19, 9:30 a.m. to 4 p.m. For more information visit gcv.org.